Few things fill me with a degree of ecstatic delight to rival that of finding an excellent animated clip for the weekly jam, because it brings us all closer to the gleeful vibe of the weekend-morning cartoons that many of us were addicted to as kids. 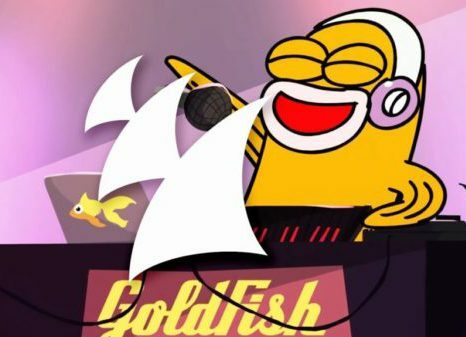 Today, I invite you to enjoy a flight through space courtesy of the track “Talk to Me” from San Diego-by-way-of-South Africa electronic dance duo, GoldFish. Speaking about the track, This Song Is Sick offers that the group’s “unique style of house is apparent with a dance-driven approach making use of bouncing, deep basslines, jazzy and bright melodies with uplifting vocals while sax lines are thrown in perfectly.” “Talk to Me” is visualized by the familiar style of animator Mike Scott (Disney/ Nickoldeon/ Cartoon Brew). “Talk to Me” can be found on the duo’s fifth studio album, Late Night People, which is out now via Armada Music. International tour dates for GoldFish are below. Enjoy their casino free spins!